Being a die-hard fan of the classic television show, Buffy the Vampire Slayer and Sarah Michelle Gellar, and knowing that there are many others like me out there, I think it is about time a Buffy movie was released. The show was based on Joss Whedon’s 1992 movie with the same name. After the movie failed to top at the box office, it was converted into a television series. Buffy the Vampire Slayer which aired on television from 1997 to 2003, gained a huge fan following and has been listed as one of the best shows of all time. 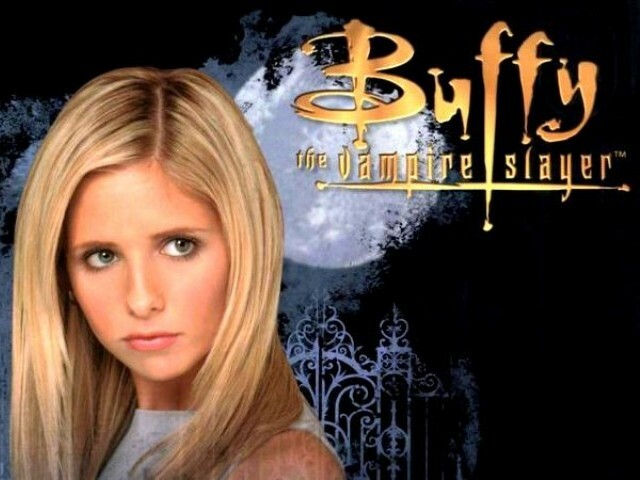 Although Buffy was a major success for Warner Brothers and the United Paramount Network (UPN) and inspired many vampire series and movies such as Twilight, The Vampire Diaries and True Blood, they failed to deliver the iconic essence that Buffy is still known for. I find it completely ironic and at times, downright annoying, that many people are simply unable to accept the fact that Buffy the Vampire Slayer came way before these movies and television shows. I have followed the series since I was seven-years-old and honestly speaking, Buffy the Vampire Slayer is the only show I have come across that actually encompasses all the genres including drama, horror, romance, thriller, some humour and of course, lots of action. These are glaringly missing in both, True Blood and The Vampire Diaries since both the series’ focus on one s­­­­pecific genre. And what leaves a stale taste in the mouth is the fact that Twilight, The Vampire Diaries and True Blood showcase a number of elements that have already been depicted in Buffy. The best part about Buffy, or rather one of the best parts since I always find it so hard to choose just one, is that there’s something for everyone. Contrary to what people think about it being a ‘show for girls’ there are quite a few episodes to which boys can relate to as well. Take for example, The Body – an episode in which Buffy Summers’ mother, Joyce, dies of natural causes. The way in which Buffy faced her mother’s death was so realistic that it gave me goose bumps. There was no music and the feel of the entire episode was sombre – something which a number of shows today lack including The Vampire Diaries and True Blood. These human relationships were what made Buffy so much more than simply a vampire show. The other shows didn’t have these little human touches and there were no motherly figures in Elena Gilbert’s (The Vampire Diaries) and Bella Swan’s (Twilight) lives. The Gift was another great episode in which Buffy Summers sacrificed herself to save the world. She was the superhero (ine) in the series, whereas in recent shows and films such as The Vampire Diaries, True Blood and Twilight, it is all about love and high-school parties. Elena and Bella were both shown to be ordinary young girls and if you ask me, they didn’t look like they could slay a vampire even if their lives depended on it… just saying! The best thing about Buffy was that although it was about vampires, there was so much more going on in the show and this variation is what made it so exciting. In addition to slaying vampires, Buffy was also shown as a loyal friend, a loving daughter and someone who saved the lives of innocent people. She led a secret life as a slayer while struggling to keep up with her ‘normal’ life. Buffy was the only series in the late 1990s that introduced the concept of vampires and demons on television. And Twilight’s storyline, to me, seemed like a clear rip-off of Buffy considering that its plot focused on Bella who falls deeply in love with a vampire. If you remember, this concept was first introduced in Buffy in which the main character falls for two vampires in the entire series. 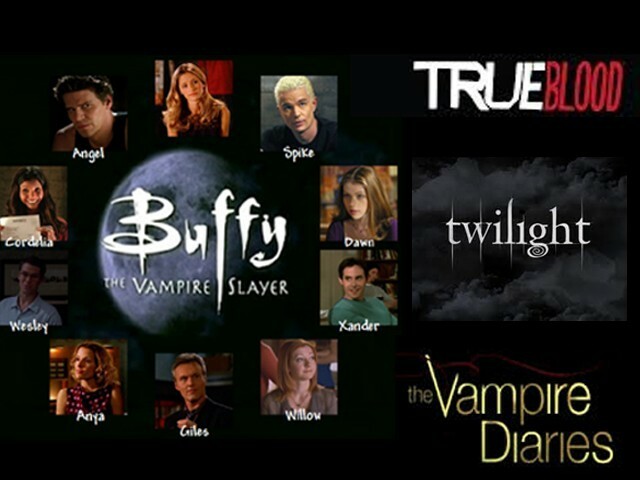 What these shows lacked was originality, something that Buffy could boast in every single episode of the series. Now, now don’t go about criticising me for mocking Twilight and the rest for their romance-based plots while Buffy also had some of the same. My point was that the latter encompassed so much more than just brooding vampires, ditsy prom queens and the clichéd love triangle. And it was this that gave, and continues to give, Buffy an edge over the rest of the series. It gave its young audience something to look up to. They saw how Buffy struggled with her life and how she tried against all odds to save innocent people from painful death while keeping her noble work hidden. This was refreshing for both, boys and girls. Boys had more to see than just a pretty face and girls were inspired by the ‘super girl’ Buffy was portrayed as. Undoubtedly, Buffy was a work of art. The show connected with its audience and delivered something new every day. In contrast, the more recent vampire shows and movies are centred on eroticism and monotonous storylines. The realism of the show was such that I was often tempted to believe in vampires and of course, pretty, intelligent vampire slayers. Even the cinematography, props and makeup made their mark, especially considering technology, at the time, was not as futuristic as it is today. In my opinion, there isn’t a single episode of Buffy that would disappoint a fan and if you still don’t believe me, pick any and watch it – I guarantee you will be hooked. Even today, the show is watched by millions of viewers globally and I don’t see why a Buffy film shouldn’t follow the success of the show. Not only would it give its fans something to look forward to, it would also provide a comeback for Sarah Michelle Gellar’s film career, especially since she hasn’t done a movie in almost six years now. I, for one, would be first in line to buy a ticket if a Buffy movie came out. Oh, Poor SMG… As excellent as an actress she is, it is so sad that there are still people in this world that think that BTVS seems the only way she could get back into movies again… Can we just let her move on? BTVS has run a good show for seven years plus its spin-off Angel for five years. ( If anything that needs a proper ending, it should have been Angel since it ended the show in real cliffhanger!) Most people only want BTVS to continue because in their minds, the show should only end with Buffy finally choosing someone to be with in the end, which is pretty much a shallow reason since that’s not really what those shows meant for some avid and loyal fans. SMG said it so many times her qualms on making it a movie and still some people don’t get why she prefers the show untouched as it was. She said herself, you can’t put those eight years of buffyverse and angelverse (+1 season of Angel) into two or three movie hours. Plus, if ever BTVS and Angel would become a movie, avid fans would prefer the original casts to perform the characters, which is highly improbable nowadays, since the actors are already showing some age. I like GOT it’s excellent television. But it’s no Buffy. There are episodes in BtVS that have touched me and made me question how I see the world. It’s inspiring and poetic and I haven’t seen anything like it on television yet. Then slowly he starts getting into loving his bad side and wants to build an empire and is vain about his blue meth..